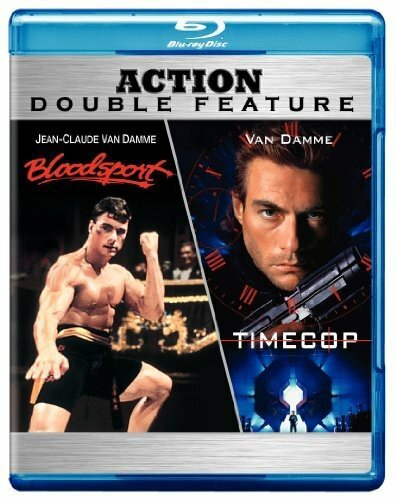 JCVD Wants To Be A Trainer In The BLOODSPORT Remake | Birth.Movies.Death. You wouldn't say no to the Muscles from Brussels, would you? Aww, poor Jean-Claude Van Damme. Nobody'll give that guy a break (well, except for the Alamo Drafthouse, who is celebrating him with a Van Dammage marathon). He just wants to be a trainer in the Bloodsport remake; is that asking so much? No, no it isn't. "I want to be in the film as a trainer and I don't think the writer wants [me] to ... he knows that 'Bloodsport' is a big film so he wants to get credit with all of that — you know what I'm saying? When I did the first 'Bloodsport,' it was an independent company and [they] didn't want bankruptcy, so they sold the title all over the place - 2,3,4,5,6 'Bloodsports.' The remake, I would love to be in it. It's kind of painful, but maybe they'll change their minds. That would be great because I can still kick better than anybody here today." Let this dude throw some kicks. I think he's earned it. The Fantastic Fest favorite is coming out sooooooon. The aging acting star once again shows off his dramatic chops. The former Universal Soldiers team up to take down a submarine.